After being the highest accolade for over 20 years for top brands across the world, Superbrands now announces SuperStartUps for India. Superbrands invites entries from startups in India to be part of the SuperStartUp honour. This initiative will enable startups to differentiate their brands from an idea perspective and engage users in their brand journey. Startup brands can aim to stand a class apart by being recognized not just for their idea, but also presentation, execution and user satisfaction. The SuperStartUp Council in India will be led by legendary brand builder turned online entrepreneur, Shivjeet Kullar who has over 100 national and international awards to his creadit. It will also features names like Prahalad Kakkar India’s top Ad Film Maker, Deep Kalra, Founder, Make My Trip, Sanjiv Bikchandani, the poster boy of the Internet world, Valerie Pinto, CEO, Weber Shandwick and Anmol Dar, Founder, Superbrands India - to name a few. In India the SuperStartUp program will effectively judge efficacy, awareness and reputation of online brands. A SuperStartUp status would motivate teams, reassure users and send a clear signal to Investors and VCs. Speaking on the launch of the initiative Anmol Dar Chairman Superbrands India said, “India is fast rising as the Startup destination in the world. With the burgeoning of more than 700 brands each year it has become extremely important to differentiate, with credibility and understand from users themselves. We have chosen to partner with Shivjeet in this ecosystem as he not only understands brands and their architecture but is also an entrepreneur in the startup world himself who is keenly aware of the challenges and nuances of being in the ecosystem”. 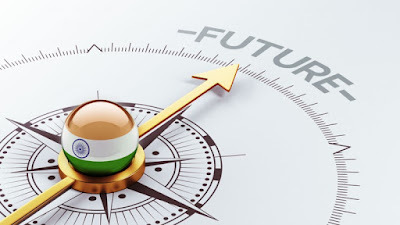 Commenting on the initiative and launch in India Shivjeet Kullar stated, “We are truly excited with the opportunity to bring SuperStartUps to India. Superbrands simply put, sets the standards for trust, respect and breakout performance. We aim to work with netizens from across the country who will shortlist and score startup brands. Letting consumers be the true judge”. For over 20 years Superbrands has been the definitive honour for top brands across the world. From Australia to Argentina, Germany to Ghana and UAE to USA in over 50 countries over the globe Superbrands has been the ‘Oscar’ of the business world. In India too it has been an accolade that the best companies have sought, won, and used in their advertising and communication. 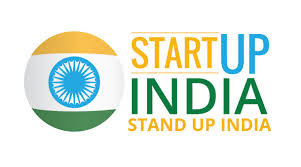 Superbrands aims to work with the burgeoning startup ecosystem to launch SuperStartUps for India.